The checkpoint will reopen after a full cease-fire is achieved. 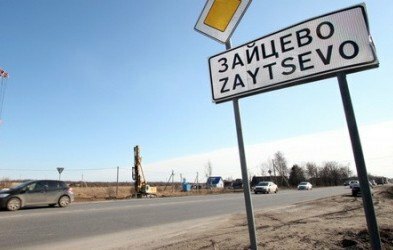 The Zaytseve checkpoint close to separatist-held Horlivka, Donetsk Region will be closed as of 3 February 2016. This decision was taken during a meeting between the head of the Donetsk military-civil administration, Pavlo Zhebrivskyy, and the antiterrorist operation (ATO) HQ, Zhebrivskyy's office has said on its official website. According to Zhebrivskyy, the checkpoint has become a frequent shooting target for the weapons banned by the Minsk agreements, including 82-mm mortars. On 29 January, a shooting attack at the checkpoint near Mayorsk left servicemen wounded and equipment damaged. It will reopen when the situation is stabilized and a full cease-fire is achieved.